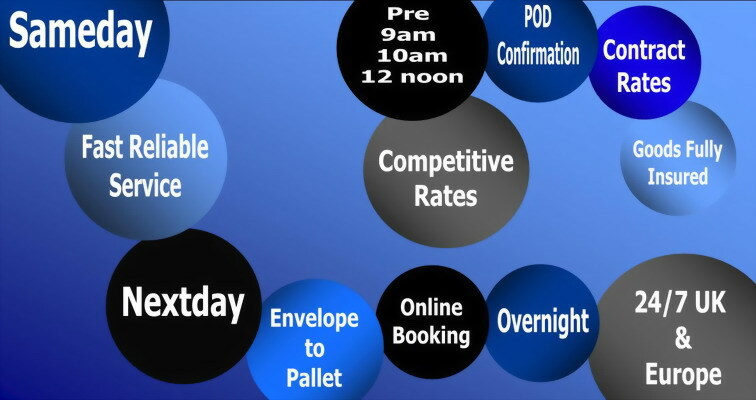 Sameday, Nextday Collection and Delivery service, where Cost and Reliability counts! Operating 24 hours a day, 7 days a week, 365 days a year, at Courier Connect we are able to accommodate UK, European.& International courier services from document, parcel, pallets to bespoke items. As an established courier company catering for same day, next day, overnight & timed delivery service to many blue chip companies, we have built a reputation based on quality of service and reliability to our customers as there preferred supplier. Operating throughout the Midlands & UK with a range of vehicles, we are able to meet your collection / delivery requirements as effectively as possible throughout England, Wales, Scotland, Ireland and Europe.